I took this picture of the facade of Buckingham Palace when I was in London this November. 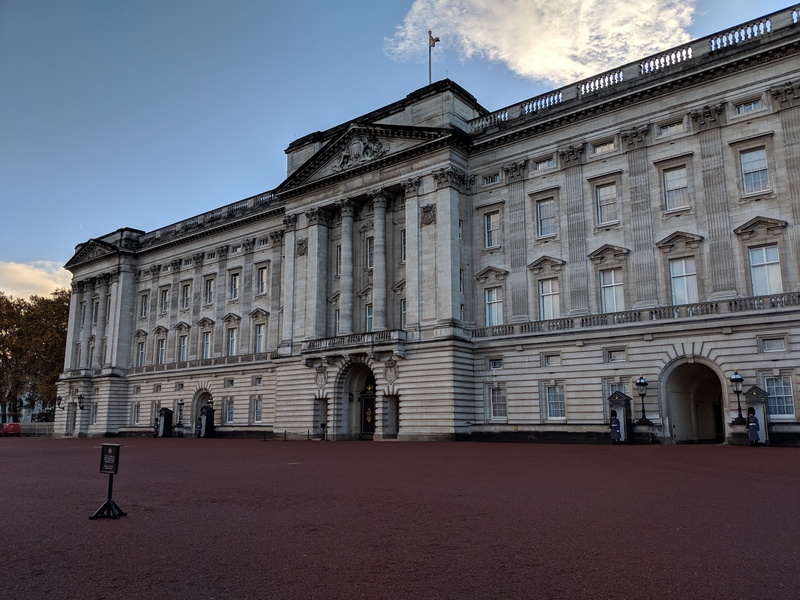 Even though I know by looking at it that it’s Buckingham Palace, I have no idea what’s inside — and those guards are there to make sure I don’t find out. In code, the term “facade” refers to the facade pattern, which is a structural design pattern from the famous book Design Patterns (usually called the “Gang of Four” in reference to the authors). 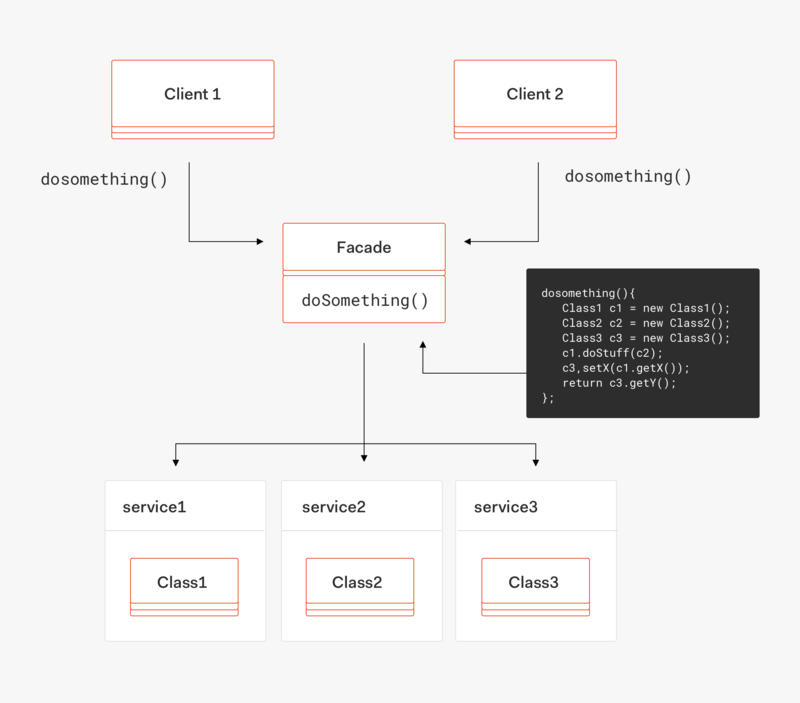 Just like the front of a building hides what’s inside to passersby, a facade in code hides the complexity of underlying services by only exposing certain methods. You’ll often hear this hiding of complexity referred to as “adding a layer of abstraction.” An abstraction is a simpler and more general model of something that only provides what its consumer needs to know. The facade pattern, and abstraction in general, is similar to the relationship between you and your car. You only need to know that when you turn the key and press the gas pedal, your car moves forward. You don’t need to care about the underlying mechanics of the engine or the science of combustion in order to go to the grocery store. You can see here how the clients don't know anything about the other services. They simply call doSomething() and the facade handles working with the services behind the scenes. Recently, there has been a lot of discussion about whether or not to use a facade with NgRx to hide away bits like the store, actions, and selectors. This was sparked by an article by Thomas Burleson called NgRx + Facades: Better State Management. A facade is basically just an Angular service that handles any interaction with the store. When a component needs to dispatch an action or get the result of a selector, it would instead call the appropriate methods on the facade service. This component imports the store, some actions, and some reducers. It dispatches the Load action during ngOnInit and uses a selector for the books in the constructor. It also dispatches an action when the user logs out. We’ve replaced the selector with an observable on the booksFacade service. We’ve also replaced both action dispatches with calls to methods on the booksFacade service. Looking at the component code in isolation, you’d have no idea that this Angular application is using NgRx for state management. So, is that a good thing or a bad thing? Let’s talk about some pros and cons to this approach. Let’s first consider some pros of the facade pattern for NgRx. Pro #1: Facades provide a better developer experience. One of the biggest arguments for using the facade pattern is its boost to developer experience. NgRx often gets flack for requiring a lot of repetitive code for setup and for the difficulty of maintaining and scaling a lot of moving parts. 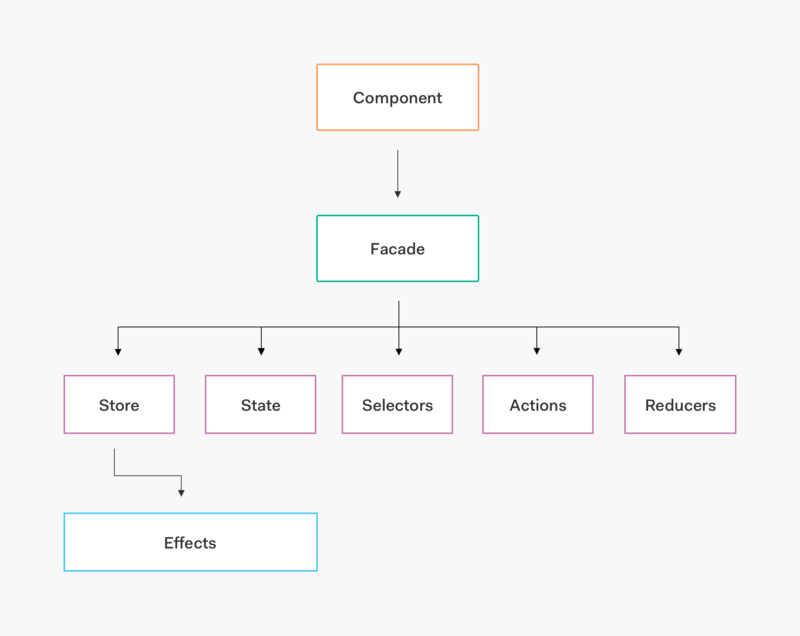 Every feature requires changes to state, the store, actions, reducers, selectors, and effects. By adding a layer of abstraction through the facade, we decrease the need to directly interact with these pieces. For example, a new developer writing a new feature listing books could just inject the BooksFacade and call loadBooks() without needing to worry about learning the intricacies of the store. A facade wraps the store up, and allows your component to only know about one thing, the store facade. It's clean. You only inject one thing. It becomes the interface for the components and the store. It feels much cleaner than with a store by itself. Pro #2: The facade pattern is easier to scale than plain NgRx. First, we'd determine the smallest number of state changes we need to make based on unique use cases. Next, we'd add them to the right places in the application-wide NgRx setup files (like changes to the application state or reducers). Finally, we'd appropriate methods and selectors to our facade. The seven new features could then be added quickly while letting the facade worry about the underlying NgRx pieces. "Using facades in NgRx can increase dev productivity and make apps easier to scale." This reduced friction in development and scaling really sound great, but is everything a bed of roses? Let’s take a look at the other side of the argument. Con #1: Facades break the indirection of NgRx. The first time I saw facades used with NgRx, I had an immediate response of, “Wait, we just spent all this time setting up NgRx actions, reducers, and effects, but now we’re hiding all of that away with a service?” It turns out that gut feeling I had is one of the main arguments against using facades. We call this indirection. Indirection is when part of your application is responsible for something, and the other pieces simply communicate with it through messaging. Neither the reducer nor the effects know about the button that was pressed. Likewise, the reducer doesn’t know anything about where the data came from or the address of the API endpoint. When you use facades in NgRx, you circumvent this design (at least in practice). The facade now knows about dispatching actions and accessing selectors. At the same time, the developer working on the application no longer knows anything about this indirection. There’s simply now a new service to call. The Redux pattern has a high code cost to achieve indirection. Turning around and removing the indirection with facades makes me wonder why you are paying the Redux cost in the first place. Why not something like Akita at that point? Con #2: Facades can lead to reusing actions. With NgRx’s indirection circumvented and hidden away from developers, it becomes very tempting to reuse actions. This is the second major disadvantage to the facade pattern. Let’s say we’re working on our books application. We’ve got two places where a user can add a new book: 1) the list of books and 2) a book’s detail page. It would be tempting to add a method to our facade called addBook() and use it to dispatch the same action in both of these instances (something like [Books] Add Book). When writing actions, we always want to focus on clarity over brevity. Good actions are actions you can read after a year and tell where they are being dispatched. When it comes to the facade pattern, we can mitigate this problem by creating a dispatch method in our facade instead of abstracting away actions. In our example above, instead of having a generic addBook() method, we’d call facadeService.dispatch(new AddBookFromList()) or facadeService.dispatch(new AddBookFromDetail()). We lose a little bit of abstraction by doing this, but it will save us headaches in the future by following best practices for action creation. Facades can greatly speed up development time in large NgRx apps, which keeps developers happy and makes scaling up a lot easier. On the other hand, the added layer of abstraction can defeat the purpose of NgRx’s indirection, causing confusion and poor action hygiene. So, which wins out? All developers at some point in their career will learn that increased abstraction always comes at a price. Abstraction trades transparency for convenience. This may turn up in difficulty debugging or difficulty maintaining, but it will come up at some point. It’s always up to you and your team to determine whether that trade-off is worth it and how to deal with any downsides. Some folks in the Angular community argue that the benefits of the facade pattern outweigh the cost of increased abstraction, and some argue they don’t. Promote good action hygiene by using a dispatch method in your facade service instead of abstracting actions. By teaching your teammates the NgRx pattern while also using a facade, you’ll save yourself some headaches when things start to break. By using a dispatch method in your facade, you’ll mitigate the tendency to reuse actions at the expense of keeping your code readable and easy to debug. "Even though using facades in NgRx can be really helpful, it's important to keep good action hygiene in mind and not reuse actions." Now that we know why we may or may not want to use a facade with NgRx, let’s create one. 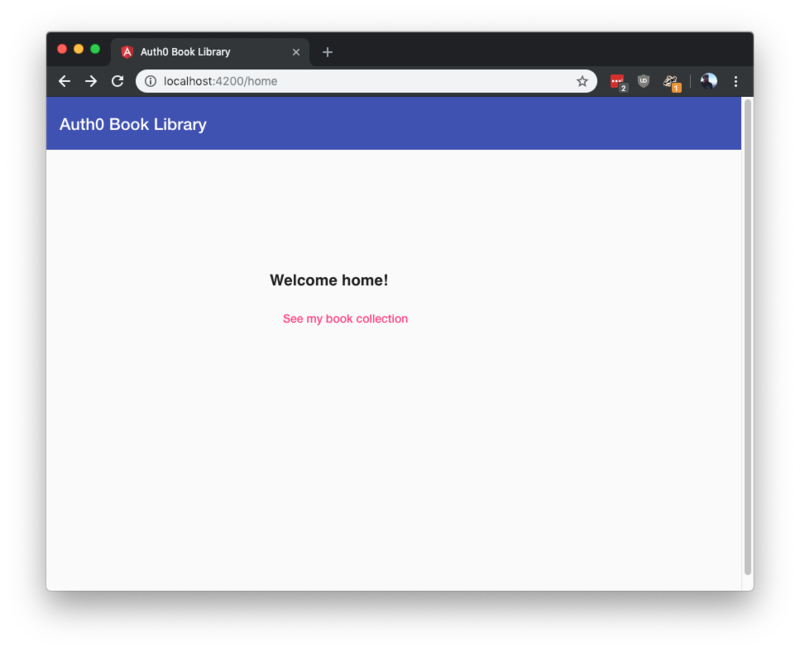 We’re going to add a facade to a simple books application and use the facade to simplify the component that lists the book collection. We’ll also use good action hygiene by using the dispatch pattern described above. Note: You’re welcome to drop Service from the class name. Some people also remove service from the file name and move this file somewhere more related to state to prevent confusion with HTTP services. I’m leaving those details up to you and sticking with some simple defaults. // Omitting Component decorator and imports for brevity. Dispatches a Load action from the store during the ngOnInit lifecycle hook. Let’s implement replacements for these in our facade. We’ll be able to simply copy over quite a bit of this code with a few modifications. Notice that we’re using the same imports and the same injection of the store as in the component. Our facade is done! Now let’s update our books page component. And that’s it! We’re no longer using the store in this component. We should still be able to run ng serve and look at the book list. To double-check that the facade is working, we can set a breakpoint on the dispatch method in the service. It should trigger when the books load. Because this is such a simple example, we didn’t get a ton of benefit to using the facade here. However, it’s easy to imagine how much of a lifesaver this would be if this component was using five selectors at a time and there were seven other components doing the same! You now know everything you need to scale this example up. Try adding more selectors or actions to the application! Remember, you can access the finished sample code here. The facade pattern can be extremely helpful when trying to build large Angular applications that use NgRx for state management. At the same time, it’s good to be aware of the pitfalls when using this approach. Increased abstraction can cause increased opacity if you’re not careful and can also lead to some bad habits when it comes to creating and using actions. You can avoid those pitfalls by keeping your team well-versed in the NgRx pattern, teaching new developers the reasons for using facades, and by using a dispatch method in your facade instead of abstracting actions. Good luck and happy coding! We can protect our applications and APIs so that only authenticated users can access them. 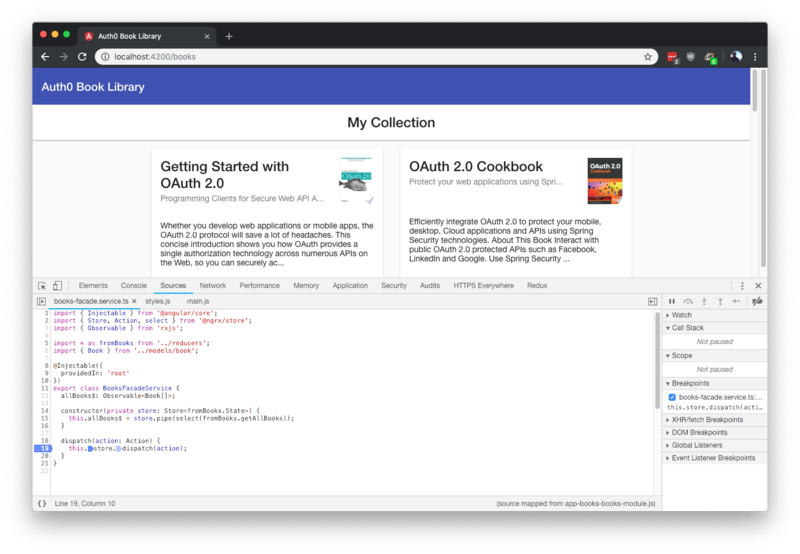 Let's explore how to do this with an Angular application and a Node API using Auth0. You can clone this sample app and API from the angular-auth0-aside repo on GitHub. You'll need an Auth0 account to manage authentication. You can sign up for a free account here. 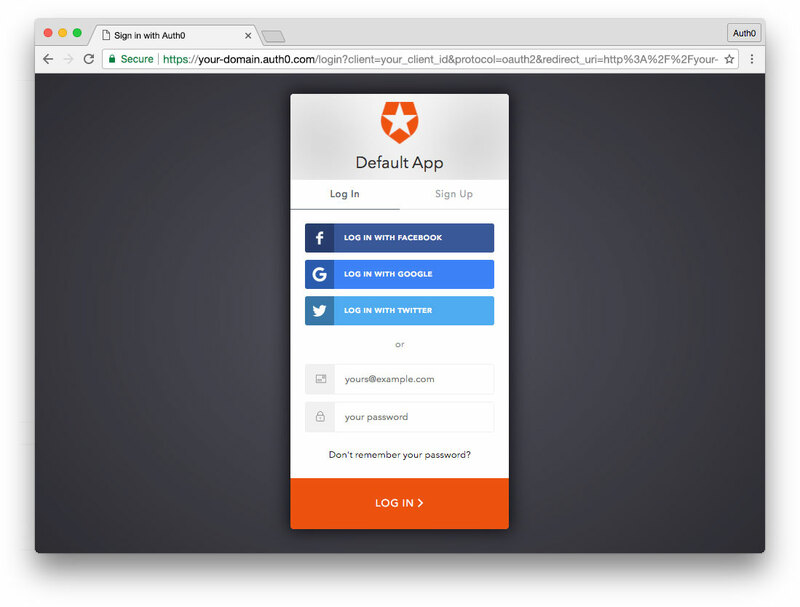 Next, set up an Auth0 application and API so Auth0 can interface with an Angular app and Node API. Go to your Auth0 Dashboard: Applications section and click the "+ Create Application" button. In the Settings for your new Auth0 app, add http://localhost:4200/callback to the Allowed Callback URLs. Add http://localhost:4200 to both the Allowed Web Origins and Allowed Logout URLs. Click the "Save Changes" button. If you'd like, you can set up some social connections. You can then enable them for your app in the Application options under the Connections tab. The example shown in the screenshot above uses username/password database, Facebook, Google, and Twitter. Note: Set up your own social keys and do not leave social connections set to use Auth0 dev keys or you will encounter issues with token renewal. Go to APIs in your Auth0 dashboard and click on the "Create API" button. Enter a name for the API. Set the Identifier to your API endpoint URL. In this example, this is http://localhost:3001/api/. The Signing Algorithm should be RS256. We're now ready to implement Auth0 authentication on both our Angular client and Node backend API. Change the CLIENT_DOMAIN value to your full Auth0 domain and set the AUTH0_AUDIENCE to your audience (in this example, this is http://localhost:3001/api/). The /api/dragons route will be protected with express-jwt and jwks-rsa. Our app and API are now set up. They can be served by running ng serve from the root folder and node server from the /server folder. The npm start command will run both at the same time for you by using concurrently. With the Node API and Angular app running, let's take a look at how authentication is implemented. Authentication logic on the front end is handled with an AuthService authentication service: src/app/auth/auth.service.ts file. We'll step through this code below. This service uses the auth config variables from environment.ts to instantiate an auth0.js WebAuth instance. Next an _authFlag member is created, which is simply a flag that we can store in local storage. It tells us whether or not to attempt to renew tokens with the Auth0 authorization server (for example, after a full-page refresh or when returning to the app later). All it does is state, "This front-end application thinks this user is authenticated" and then allows us to apply logic based on that estimation and verify whether or not it's accurate. We'll add and type a token$ observable, which will provide a stream of the access token string. This is for use with the token interceptor. We don't want our interceptor to utilize a stream that emits a default value without any useable values. We'll declare token$ in our _setAuth() method below, when the access token becomes available. We will use an RxJS BehaviorSubject to provide a stream of the user profile that you can subscribe to anywhere in the app. We'll also store some paths for navigation so the app can easily determine where to send users when authentication succeeds, fails, or the user has logged out. The next thing that we'll do is create observables of the auth0.js methods parseHash() (which allows us to extract authentication data from the hash upon login) and checkSession() (which allows us to acquire new tokens when a user has an existing session with the authorization server). Using observables with these methods allows us to easily publish authentication events and subscribe to them within our Angular application. The login() method authorizes the authentication request with Auth0 using the environment config variables. A login page will be shown to the user and they can then authenticate. Note: If it's the user's first visit to our app and our callback is on localhost, they'll also be presented with a consent screen where they can grant access to our API. A first party client on a non-localhost domain would be highly trusted, so the consent dialog would not be presented in this case. You can modify this by editing your Auth0 Dashboard API Settings. Look for the "Allow Skipping User Consent" toggle. We'll receive accessToken, expiresIn, and idTokenPayload in the URL hash from Auth0 when returning to our app after authenticating at the login page. The handleLoginCallback() method subscribes to the parseHash$() observable to stream authentication data (_setAuth()) by creating our token$ observable and emitting a value for the userProfile$ behavior subject. This way, any subscribed components in the app are informed that the token and user data has been updated. The _authFlag is also set to true and stored in local storage so if the user returns to the app later, we can check whether to ask the authorization server for a fresh token. Essentially, the flag serves to tell the authorization server, "This app thinks this user is authenticated. If they are, give me their data." We check the status of the flag in local storage with the accessor method authenticated. Note: The user profile data takes the shape defined by OpenID standard claims. The renewAuth() method, if the _authFlag is true, subscribes to the checkSession$() observable to ask the authorization server if the user is indeed authorized (we can pass arguments to this observable as we would to the auth0.js function). If they are, fresh authentication data is returned and we'll run the _setAuth() method to update the necessary authentication streams in our app. If the user is not authorized with Auth0, the _authFlag is removed and the user will be redirected to the URL we set as the authentication failure location. Next, we have a logout() method that sets the _authFlag to false and logs out of the authentication session on Auth0's server. The Auth0 logout() method then redirects back to the location we set as our logoutUrl. Once AuthService is provided in app.module.ts, its methods and properties can be used anywhere in our app, such as the home component. The callback component is where the app is redirected after authentication. This component simply shows a loading message until the login process is completed. It executes the authentication service's handleLoginCallback() method to parse the hash and extract authentication information. In order to make authenticated HTTP requests, it's necessary to add an Authorization header with the access token to our outgoing requests. Note that the api.service.ts file does not do this. Instead, this functionality is in an HTTP interceptor service called token.interceptor.ts. As mentioned above, we can return the token$ observable to acquire a token, then clone the outgoing HTTP request and attach an Authorization header before sending the request on its way. Note: We set multi to true because we could implement multiple interceptors, which would run in the order of declaration. A profile page component can show an authenticated user's profile information. However, we only want this component to be accessible if the user is logged in. Now that the primary functionality is there, you'll want to think about gracefully handling and reacting to errors. Some functionality will need to be implemented for this. The errors are there to react to, but you'll want to consider how you prefer to respond to them when they occur.